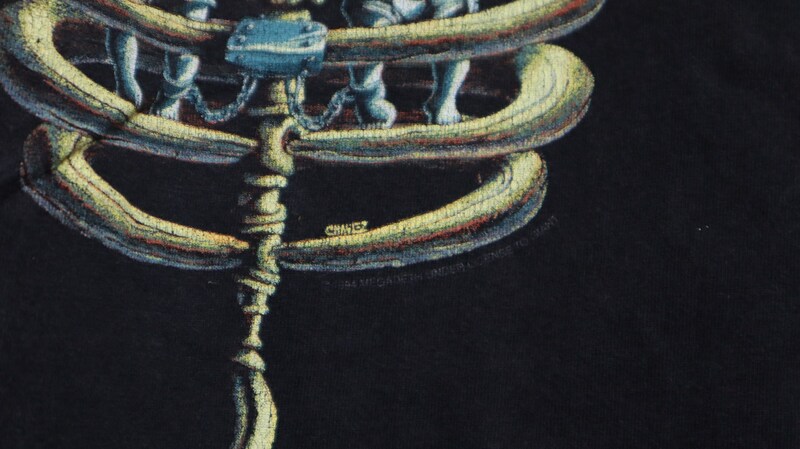 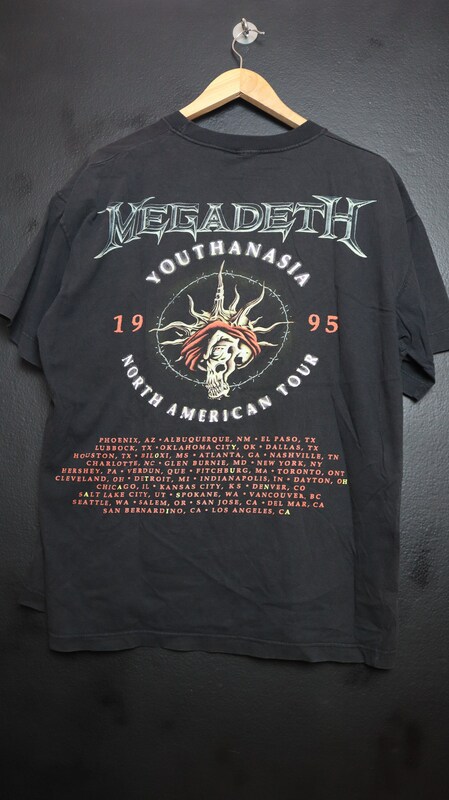 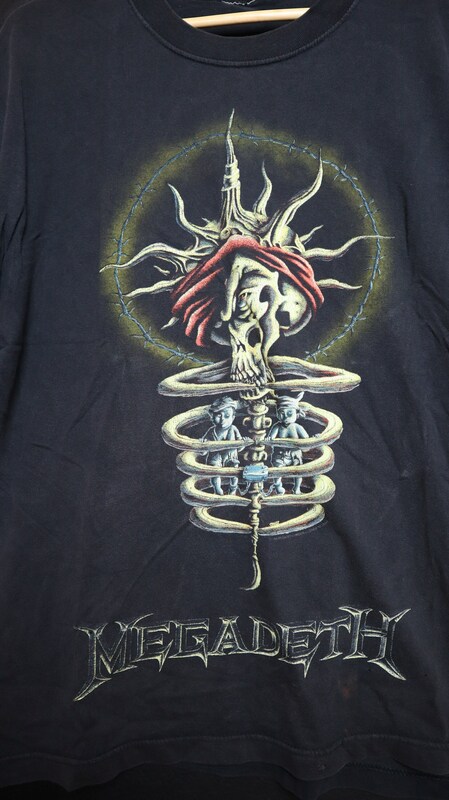 Megadeth Youthanasia North American Tour 1995 Vintage Tshirt, no size tag, please see measurements. 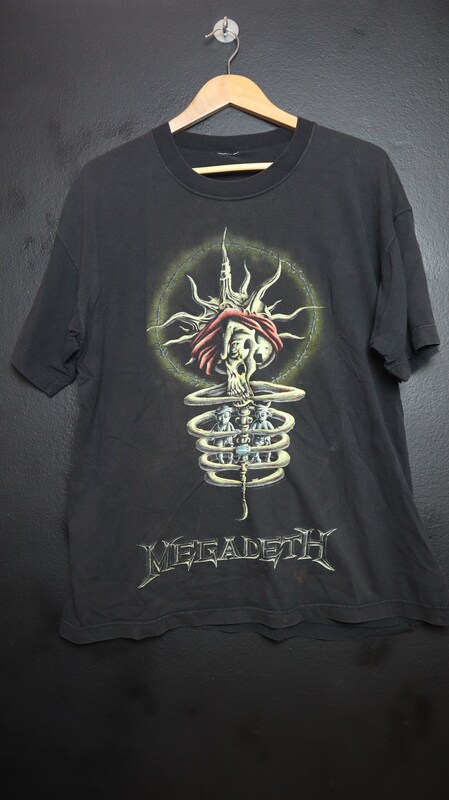 This shirt is in great vintage condition, perfectly worn in and super soft with some fading throughout and minimal cracking on the graphic. 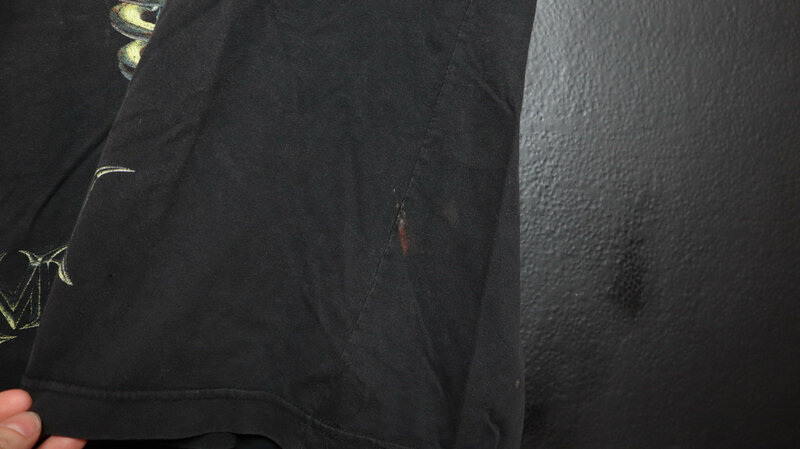 Some stains as pictured. 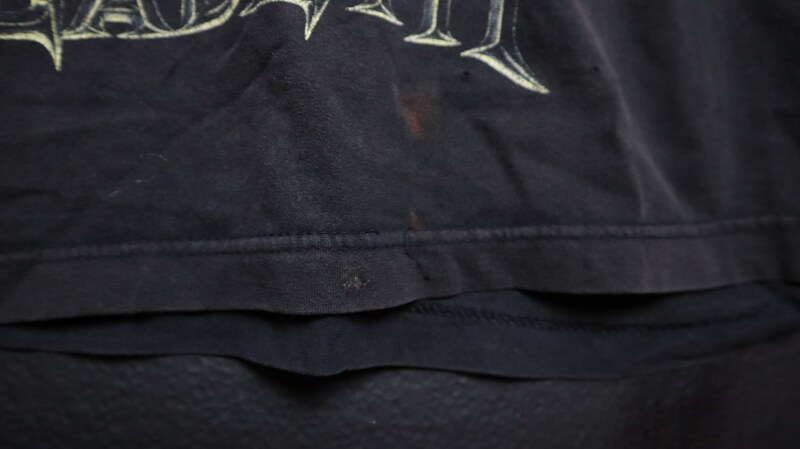 Back of Collar to Bottom: 28.5"